and mouse not working on windows 10. There are many reasons which are responsible If your Windows 10 mouse not working or windows 10 keyboard not working. In this article i’m going to show you all those issues and teach you how you can troubleshoot them step by step. Follow below steps to troubleshoot your keyboard and mouse not working on windows 10 issue step by step.. IF your Windows 10 mouse is not working or “keyboard is not working”, Then most common reason for this problem is, computer hanging due to high processing or workload on computer. Maybe your motherboard is not getting full electricity to run all of its hardware as well. to solve these issues the easiest and common way is Rebooting your computer. you can directly switch off your computer or pull the battery of your laptop to restart it and check if the issue is fixed or not. If your issue is not getting fixed after a reboot, then check if your keyboard and mouse is connected to your computer properly. If you are using cabled mouse and keyboard, then check if your wires are inserted properly, remove their connections and connect them again, check if their wires are broken. But If you are using Bluetooth keyboard or mouse, then reconfigure their Bluetooth connections. Test your keyboard and mouse by inserting them into different computer, because sometimes keyboard and mouse gets damaged from inside and users have no clue about it. Many times a PS2/USB ports gets damaged due to dust or other reasons. Clean dust from your PS2/USB ports, check if connection bins are bent, try to connect your keyboard/mouse with different PS2/USB port. Clean boot is used to fix most common driver related issues, Clean boot your system and check if your keyboard and mouse are working properly. 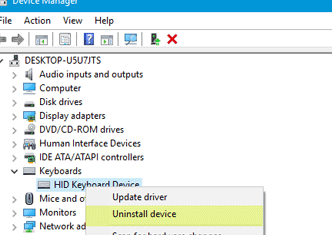 If you have installed windows recently, or your windows updated recently then Missing Device Drivers may get you problem of keyboard and mouse not working on windows 10 as well on another Microsoft windows. If you have Windows 10 mouse not working problem then you need to reinstall and update your mouse drivers, and if you have windows 10 keyboard not working problem then reinstall and update your keyboard drivers. check below link to know how you can update your device drivers on windows 10. Sometimes Viruses may control your computer and disable access to keyboard or mouse. to remove these viruses you can scan your computer with malwarebytes and adwcleaner. Thanks for reading my article about keyboard and mouse not working on windows 10 fix. 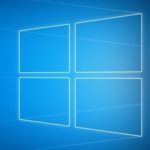 I hope this article helped you to solve your Windows 10 mouse not working or windows 10 keyboard not working related issues. if you have more questions and query, feel free to ask me in the comment section below.